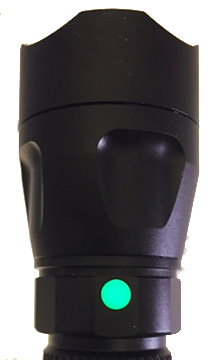 Juno-4 is a 1200 lumen max 4-mode LED flashlight and our 1st light to include a built-in intelligent charging circuit for internal battery charging via micro-USB and a built-in LED indicator that displays real time battery level to warn you when battery is low. Juno-4 runs on one 18650 battery that charges internally. Additional batteries can be charged externally with an optional charger. Choose a package with 1 or 2 Extended or Ultra Capacity batteries and a single AC, dual AC or dual AC/DC external charger. Flashlight does not come with batteries or external charger unless you add a package below. 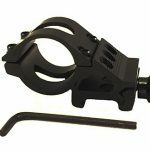 Universal Bicycle Mount allows you to mount your MF Tactical Flashlight to any bicycle handlebar. This is a durable and protective padded ballistic nylon holster custom made for all MF Tactical Echo v.2 and Juno Series models. Remote pressure switch for all Juno Series flashlights. 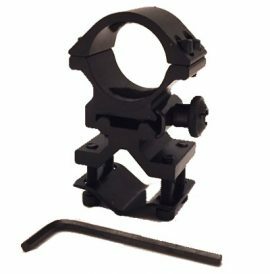 Ideal for mounted weapon lights. 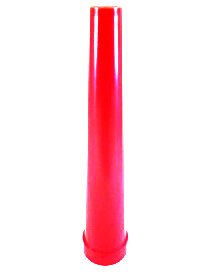 Functionality of tail switch is transferred to rubber squeeze pad for silent and smooth operation. 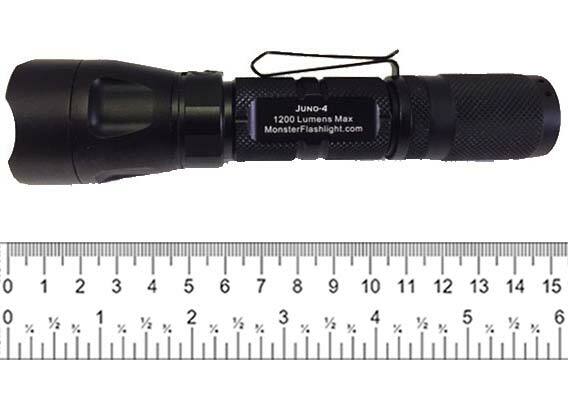 The advanced MF Tactical Juno Series rechargeable tactical LED flashlight uses the same powerful 1200 lumen max Cree® XM-L2-U3 LED emitter used in our PowerStar model. The Juno is among our brightest single battery flashlights and our first model to incorporate a built-in intelligent charging circuit that allows internal battery charging via a waterproof micro-USB port. The Juno can be charged by simply plugging its USB cable into a wall outlet using the included high quality AC adapter, into any USB power source, or into any automotive cigarette lighter outlet using the optional 12v DC car adapter. 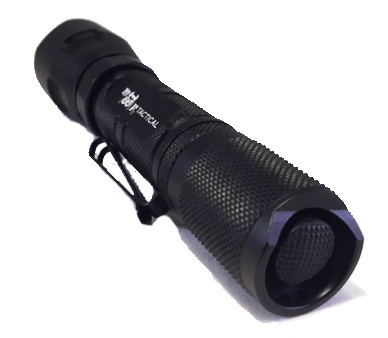 The Juno-4 is a four mode flashlight, with High, Medium, Low and Strobe tactical modes. All digital flashlights abruptly go out and do not go progressively dim when the battery power is getting low. The Juno Series solves this problem, as its innovative real time battery level display takes away the mystery of not knowing when your batteries are about to drop to zero and leave you in the dark. The built-in color LED indicator on the Juno displays a green light when your battery is full and remains green so long as your battery level is above 20%. When the battery drops below 20%, the light changes to red. When the battery drops down to 10% or lower, the red light begins flashing to let you know that it is time to recharge or swap in a fully charged battery. Finally, no more having to guess how much more power you have left in your flashlight! 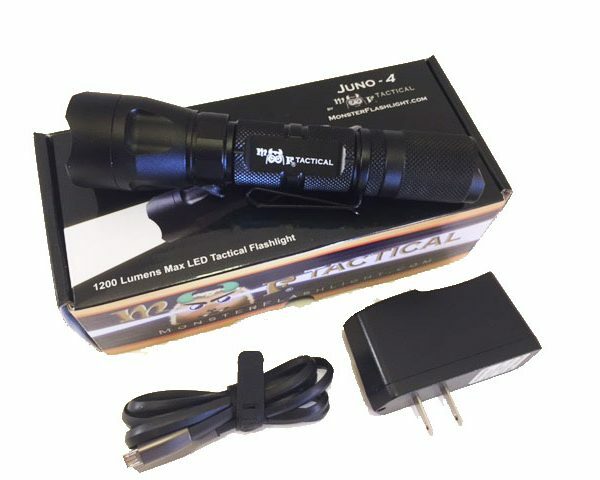 While the Juno Series charges its primary battery internally, if you prefer to have two or more batteries fully charged for extended run time without having to stop to recharge, the batteries can be removed from the flashlight and charged on any of our optional external AC or AC/DC chargers. 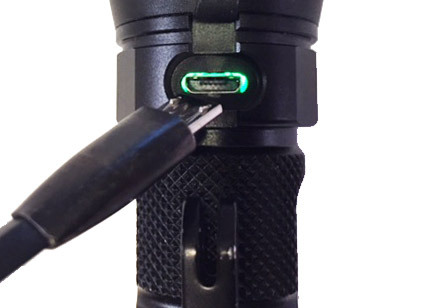 This gives you the best of both worlds: by leaving the flashlight plugged in when not in use, the battery will always be fully charged when needed. For times when one battery is not enough, you can still charge additional batteries externally just like all of our other MF Tactical flashlights. 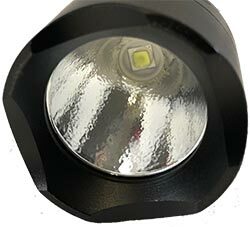 Every new flashlight that we design and build incorporates a variety of enhancements and improvements, both obvious and subtle. 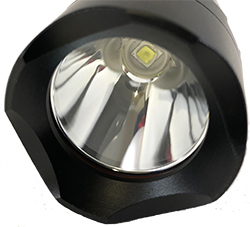 The Juno Series uses the highly efficient and exceedingly bright Cree® XM-L2-U3 LED emitter, which produces an exceptionally white light, as opposed to the blue tint on lesser LED’s. Next, we are using a newer deep cut diamond cut knurling on the flashlight body, which provides a slip-free grip when the weather gets wet. The Juno is also the first flashlight we have made with our innovative Bi-Directional Pocket Clip. 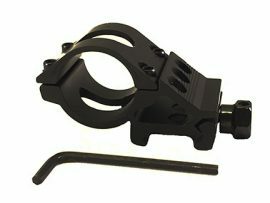 This compact and clever design permits you to use your pocket clip with either the head or the tail facing up. For users who prefer to remove their pocket clip, it is easily removable in just a few seconds. Successive soft presses on the Juno Series’ tail cap switch allows you to cycle through the Juno-4’s four tactical modes: High, Medium, Low and Strobe. And the Juno has flash memory circuitry, which means that once you have set your Juno-4 to the mode you prefer, it will remember and return to that mode when you turn it back on so that you do not need to cycle through all 4 modes every time you turn on your flashlight. Finally, like all of our professional grade flashlights, the Juno is made with the harder and more durable, Level III military grade anodized finish that protects the finish and beauty of your MF Tactical flashlight for many years to come. If you have read this far into the description, you know by now that there is an ever growing number of flashlights available on the market. Most of what you see are low grade Chinese imports thinly disguised to appear like they are American companies. As our long time customers already know, MF Tactical is the real deal, and we design and build our flashlights right here in New Jersey. The difference comes down to quality, and MF Tactical takes pride in the fact that nobody beats us in producing the highest quality tactical LED flashlights built in America. And we stand behind our quality with our one year limited warranty and our legendary customer service. Juno-4 runs on a single high voltage 18650 rechargeable protected li-ion battery (Do NOT use CR-123A’s or unprotected batteries). While the price shown for the flashlight is without batteries, just use the option menu marked “Select Battery/Charger Package” when you put this light in your cart, and you can choose from a variety of packages made up of 1 or 2 of our top quality 18650 Extended or Ultra Capacity rechargeable li-ion batteries and your choice of AC or AC/DC smart charger, all offered with a package deal and no additional shipping. We also stock a variety of essential accessories, such as bicycle and weapon mounts, remote pressure switches, color filters, a ballistic nylon holster and a 12v DC cigarette lighter adapter for charging in a vehicle. If you would like to upgrade your Juno-4 to maximize the throw distance of this magnificent emitter, we offer the option to upgrade your reflector to a highly polished SMO smooth reflector. The standard OP or “orange peel” reflector has a textured surface that acts to evenly disburse the light over a wider field, which makes the light have a bias towards flood or spill. 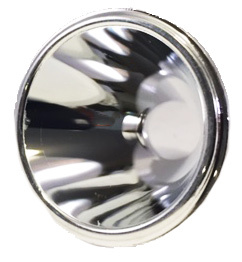 As some users prefer their light to have a bias towards throw, which concentrates more of the beam towards the center, sending more of the light farther down field, we offer the option of upgrading your light’s reflector to an SMO reflector. Think of the difference as the choice of loading your home’s light fixture with a spot light bulb vs. a flood light bulb. If you would want to maximize your light’s throw potential through the use of an SMO reflector, just check the option box when ordering and either upgrade your standard OP reflector to the SMO reflector or include both OP and SMO reflectors. Battery Configurations: Powered by 1x 18650 Protected battery ONLY (sold separately). Do NOT use CR123A or unprotected batteries. Brightness: 1200 lumens on high, 600 lumens on medium and 35 lumens on low. Waterproof Standard: IPX-6. Protected against high pressure water stream from any angle. Lens: Hardened ultra-clear mineral glass with anti-reflective coating. TO CHANGE MODES: Turn on with a full press of the button (CLICK), then cycle through modes with a half press of button (NO CLICK). MEMORY FEATURE: Leave in any mode for about 3 seconds to allow circuitry to learn mode. Then turn off and wait 3 additional seconds for memory to set. The light then remembers and returns to your last setting when turned back on. 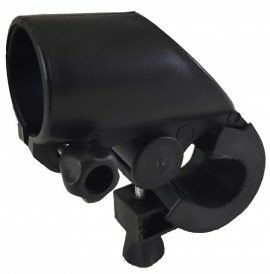 To order, select the “Add Firearm Mount” or “Add Remote Pressure Switch” pull-down menu above. Was a little surprised that everyone seems to be giving this flashlight 4 or 5 stars, but after owning a Juno 4 now for a month I know why. Impeccable build quality and incredibly bright. I also give the Juno 5 stars. I have three MF lights for my home, truck and motorcycle. The Juno 4 is for my truck and charges in my gun vault when I need it out in the country where I live. The PowerStar is fight next to my bed in case I need to blind someone with the strobe or need a bright light when I hear strange noise around my property at night. I also have a pro tango that I used in large enforcement. I felt secure with the brightness of the light and weight of it to protect myself or break out windows if I needed to. So, if you are going to invest in a safety feature there is not better company than MF. Very happy with the Juno after 2 weeks of daily use. It lives up to the advertising. Well built and very bright. Lasted only a few months and stopped working,never dropped or abused but used on daily basis.Battery was fine put it in my pro tango still works. Still under warranty will have to arrange for repairs or replacement. Purchased this model for increased brightness and usb charging with battery status light. Seems a little lighter than my pro tango,not quite as heavy duty. This Juno USB rechargeable is the third flashlight I’ve purchased from Monster Flashlights. The quality, customer support and functionality can’t be beaten. 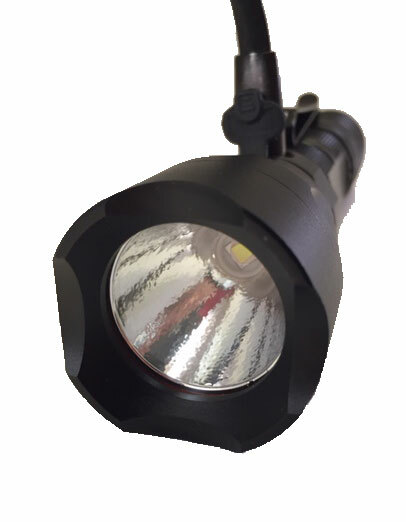 As an engineer in the Television Broadcasting field, working in a dark control room or mobile truck, you need a quality flashlight. The Juno is as good as it gets. Just love it. I am a former police officer and retired firefighter, which is mentioned only to be credible and to state that I am not a shill for MF Tactical. I give MF Tactical permission to provide my email address to anyone inquiring about quality of their products and reasons. I am used to quality due to the necessity of performance and dependability of life safety requirements. My general statements would include: I agree with the review given by Robert E. Simmons above. It is accurate so there is no need for specific duplication. Additionally, I reiterate MF’s statements that cheap misleading brands appear to be quality but seem to have proven to be terribly inferior and even junk. I have been ignorant in years past, tried many (some at great expense), and ALL have turned out to be cheaply made, not dependable, and non functional (partially and fully). Although, there must be other quality companies available, MF Tactical has proven to me to be everything advertised, and I seriously doubt I will ever purchase another brand. My new MF Tactical Juno-4 USB Rechargeable LED Tactical Flashlight 4-Mode is so far is perfect. Delivery after purchase was almost immediate (same as my other MF purchased 3 years ago). I was prepared with fully charged MF batteries and have consequently not yet used the USB connection. 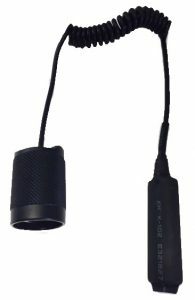 The USB connection, however, is the primary reason for purchasing this specific flashlight, because it fulfills a personal requirement of being able to re-charge wherever I am. EVERY part of the build is solid and is functionally easy to use as advertised. Additionally, its weight to size ratio is perfect, and the brightness modes should fulfill any reasonable scenario imaginable. This unit is confidence building, and I would use it professionally without question. The only downside opined by me is the tail button may be too protected to easily use with gloves. Incidentally, everything stated about this flashlight also applies to my other one, which is an older 3300 lumen version of the current MF Tactical PowerStar – 4800 Lumens Max 5 Mode. It has been perfect and incredibly bright. It seemed to light up the world. I can only imagine that the 4800 lumen model would light up the universe (corny, but I had to throw it in). In closing, the quality justifies the cost. 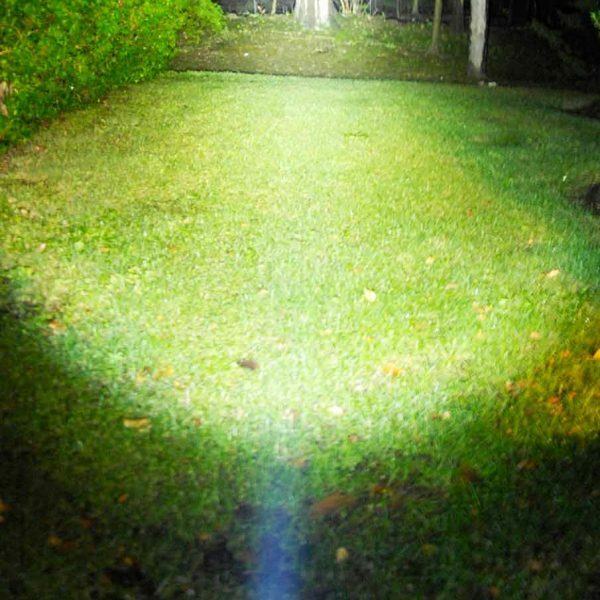 You actually do get your money’s worth with MF Tactical flashlights. I will revisit if warranted with future information, good or bad. As a side note, I appreciated Mr. Simmons’ valediction as well. I have been buying MF Tactical’s led flashlights for years. 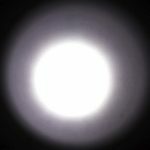 From the brightest lumen down to the smallest and they all have proven to be the best available anywhere. I know because I have tried the others. My lastest purchase was the new Juno-4 1200 lumen usb rechargeable and it is same quality as all my other purchases and I am very impressed with its overall features and of course the 1200 lumen brightness. Like Howard – I too am a led flashlight freak. With MF Tactical you not only get the best quality and newest led technology – you also get fast shipping and the best customer service rarely found anywhere. Communication and follow-up is fantastic. If your not on his email list – get on it. I will be looking for MF Tactical’s next new product. 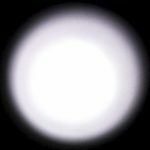 Very powerful and useful flashlight – recommend! Got my Juno this morning, just 2 days after ordering. Build quality is the best I have seen from MF, which is saying alot. Its as bright as my Pro Tango and the battery warning light is just what I have been asking for. I like having peace of mind that my battery is not going to go dark suddenly and without warning. With the battery warning light and the usb charging option, I would say that this is now the absolute perfect flashlight. Amazing how much light comes out of a 6″ long flashlight, and I love the quality of this piece. I am a MF loving flashlight freak for life! The Pro Tango U2, with its stainless steel mode control dial, separates the on/off function of the tail button from the mode control for intuitive and precise control. 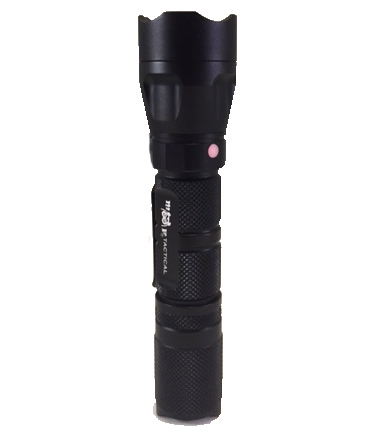 The Pro Tango is the best designed and highest quality everyday carry flashlight on the market.